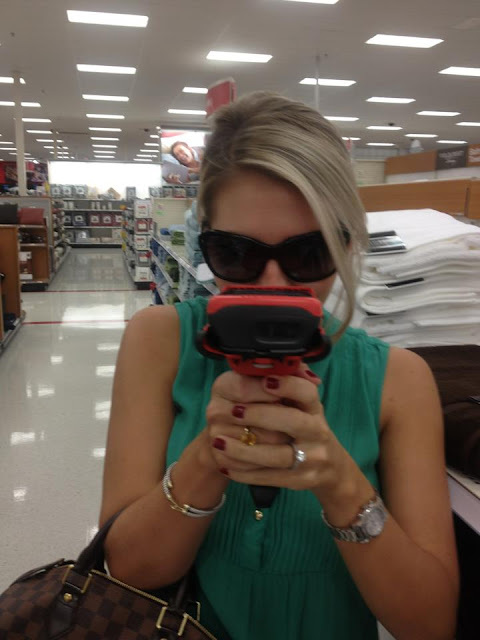 Creating our wedding registry was both stressful and fun. -Picking out the crystal glasses/sterling serveware/etc. we will use throughout our entire marriage. -Picking out master bedroom bedding when we A.) don’t have a master bedroom yet and B.) don’t have master bedroom furniture either. Same goes for guest room and all bathrooms! I need to know the space before I pick out the items that will fill it. -Researching almost every item on the list was not fun. I’m so type-A in some aspects. I literally spent months researching the best starter cookware, crystal patterns, yada yada yada. -And just in general… picking out what’s equivalent to the most gigantic Christmas list I will ever create. Sounds fun -and it was. But I had no idea how endless our options would be. Right then and there, we’re expected to pick out a ton of items that will fill our future home. I change my mind daily. I am terrible with decisions. Why is a round whisk better than a flat whisk? Why does the prettiest coffee maker have the worst reviews? Why, why, WHY? …and basically, picking out what is equivalent to the most gigantic Christmas list we will ever create. Sure, it’s a lot of decisions, but we all know they are fun decisions. Luckily, we already have our fine china set. Also, my grandmother had pulled out her sterling silver flatware to give me before she passed away. One of the last things she said to me was how excited she was to polish it all for me and Brandon. That’s so special. Those are just a few of our favorites! Married ladies: I’ve asked you before… but what is your favorite item that was on your wedding registry? I want to make sure I haven’t left anything important off the list! Love everything you have picked so far! Couldn't agree more, it is SO stressful! I got the same bedding from my shower! My bedding, everyday plates – the Great White collection from PB, a Dyson vacuum and our All Clad stainless steel pots were my favorite registry items. We were fortunate to get them all and over the course of our engagement my mom also got me many Le Creuset pieces which I love! Kitchenaid Stand Mixer (mine is in white-clean fresh look and goes with every thing!). If you both like sweets and/or baking this is a must have! That process seems so stressful! Those are some big decisions!! ? do you have any tricks or tips to keep white bedding white? I love the idea, but I'm nervous about it getting dirty!! Which LV Speedy do you have? Love it!! Great selections! (although I ruined a part of our floor with a steam mop b/c our house is old and the hardwood wasn't sealed all the way) I love love love our Kitchen Aid mixer and my husband would say his favorite thing is our pizza stone from Williams-Sonoma. My favorite item would be a toss up between my dyson vacuum and kitchen aid mixer. I use both all the time! Plus they aren't cheap so it was nice to get them as gifts. We got the Waterford Lismore too! We used the celebrations toasting flutes for our toast and cake cutting so now we have them to match. I love white bedding too. We didn't register for bedding for our master bedroom since we knew we'd e moving within a year and would want to upgrade our bedroom furniture. Dyson vacuum. Love this and it's especially great since we have a dog. A le creusset Dutch oven in 6 qt. this was fantastic to read! my fiance and I are doing our first registry next week and I am stressing out about it too! Excited but stressed! I just set my date over the weekend so I need to start looking into what to put on my registry. It looks like you have some good picks. Great gifts! Its so hard to pick just one thing that stands out, but the vacuum is definitely up there. Anything that you use or will use on a daily basis is great! I love our monogrammed shower curtain too! Great gifts. I love our vacuum and monogrammed shower curtain! I cannot imagine having to do a registry! I am so indecisive and would be at a complete loss as to what I want/need. But I absolutely love your picks so far! You absolutely MUST add the Breville Smart Oven to your list. I had a time with the registering process and was constantly changing things too, but you are always able to switch until the wedding and then take things back when it's over if you decide you changed your mind. But the Smart Oven was our smartest add. I have a real oven, but this thing does EVERYTHING and does it so much faster. It's absolutely amazing and I can't imagine having cooked without it before. If you have hardwood or tile floors the shark is worth its weight in gold! Great product! that's a lot of great stuff 🙂 do you have an instagram? I am obsessed with your white bedding! Very clean, and pretty. My favorite thing that was on our registry is my Keurig. I could NOT live without it. I also really love our Kate Spade Bayberry ever day china. We registered for those PB candlesticks and I love them! Great choice! 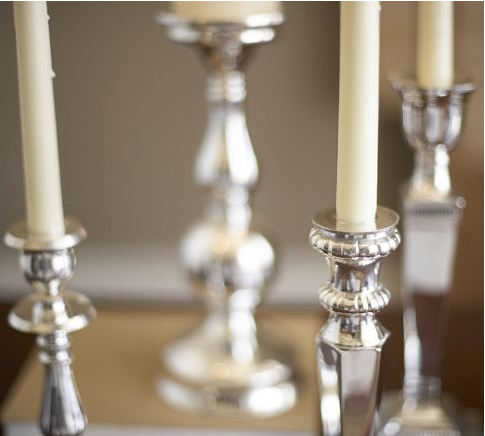 We received those PB candlesticks from our registry! Great choice; I love them! Be a little careful with how much monogrammed stuff you register for–companies love monogramming because you can't return those items! After our wedding, we ended up missing some basics (no one wanted to give us our daily plates, for example) so we needed to returns a few "want" items for some "must haves". You can ALWAYS get an item you love monogrammed after you're sure you love and need it, but once you get a monogrammed item, you're stuck with it! My biggest advice to my friends is to be a little careful with how many monogrammed items you register for. 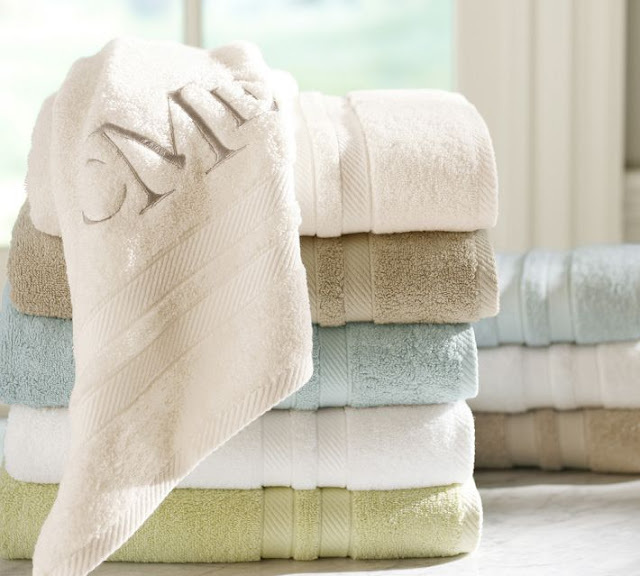 Companies love to offer inexpensive monogramming for their items because it makes them not returnable! In our case, we were still missing some "must have" items after our wedding (our everyday plates from W&S, for example) so we ended up returning some "wants" to fill in the gaps. 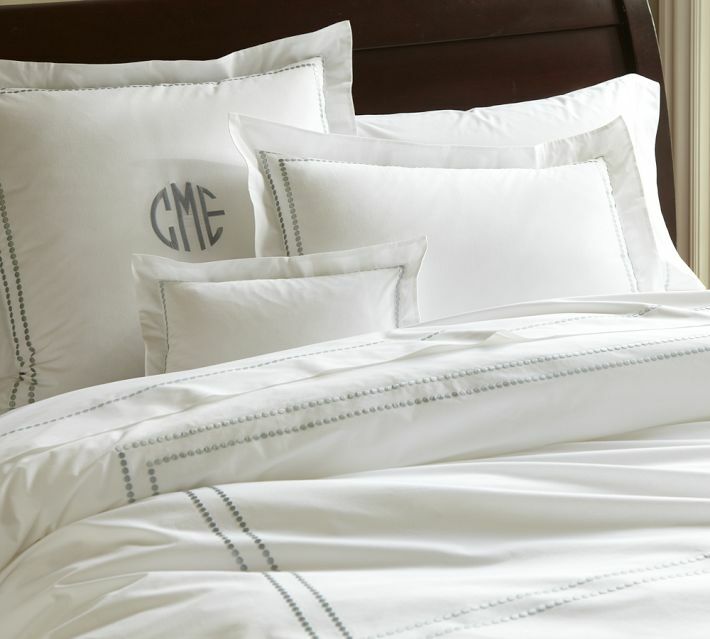 Remember you can always get an item you love and need monogrammed after you've decided to keep it, but if the company monograms it, you're stuck with it forever! the random things we loved were a card table/folding chairs, a fire pit for the deck, amd a large rolling cooler!we dont use them a ton, but when we do its nice to have! I was strolling through Target the other day and actually thought to myself how stressful it might be to have to choose all of the furnishings for my home– that I haven't even seen yet. Talk about stressful!! So many colors, sizes, textures to choose! It's like buying all the paints but not having the canvas yet. It looks like you did a great job registering. I, also, only buy white sheets!! 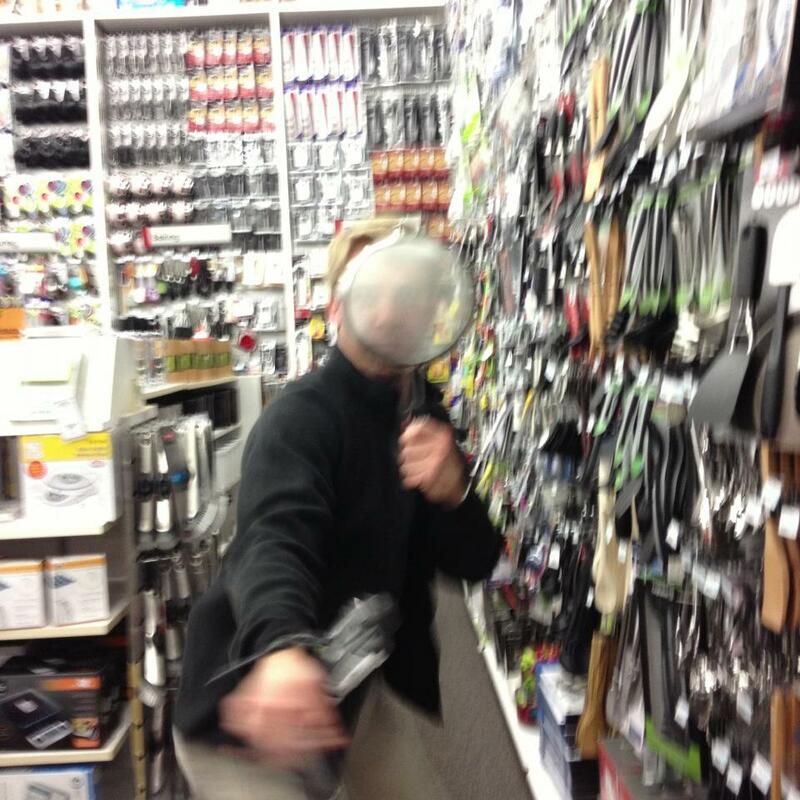 Pointing the scanner and zapping everything under the store roof is the MOST fun part of registering! Hint: You should register for stuff you want anyway (even expensive stuff) because most stores give you a 10-20% off deal on anything you don't receive from your registry after your wedding date. SCORE. So register for a couch or something! This is going to sound silly, but one of my favorite items was our shower curtain. It was from Macy's and matched our towels and duvet! I also have really enjoyed our food processor and crockpot. It's the little things! I was lucky to receive a lot of Le Creuset from my registry – if you get Pottery Barn gift cards you can also use them at William Sonoma. Its kind of crazy but I noticed not a lot of people give towels as gifts! We actually went to Costco and got the huge ones they have there! For $11 I didn't mind when my husband did the laundry and one had a bleach stain on it (how??) So I just picked up another and was over it – we also registered for wrinkle free sheets (Biltmore at Belk) and we love ours! We had so much picking out our registry items. And it was really tough as we did not have a house to shop for (and still don't) and so many items were seasonal. One shop deleted our registry as they switched to a new system. So many of our guests ended up just giving us gift vouchers due to this error. Keurig, Kitchen Aid Stand Mixer, Ninja Blender (awesome!) 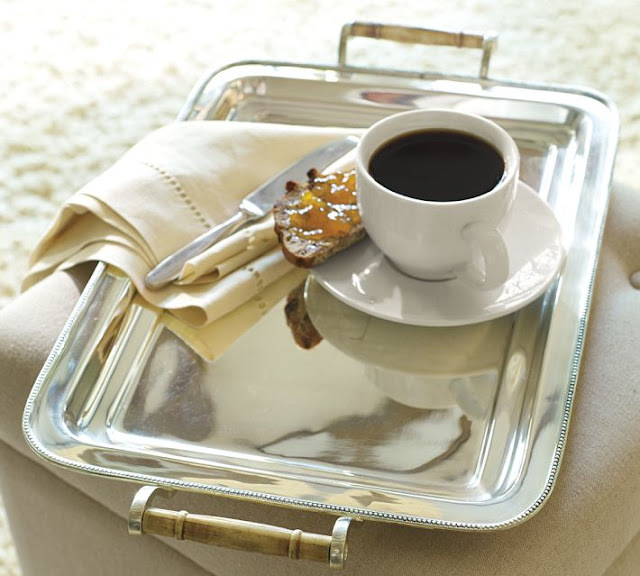 I love classic china, and my sturdier Pottery Barn ware for when we host dinner, but for every day use I absolutely love my Corelle Square pure white set (http://www.corelle.com/patterns/pure-white). It is thin and SUPER light to stack and pull in and out of cabinets. Its simple and clean and I think it will be great when we have children too because it is shatter proof and cheap so not a big deal if something gets dropped! 🙂 good luck! I would for sure register at William Sanoma for electrical stuff like panini maker, waffle maker, and pots and pans. We received the JA Henckles 16-piece knife set and it is AMAZING! Great choice! A few of my favorite (and inexpensive! ), more practical gifts from BB&B were Calphalon kitchen towel sets (in assorted colors), the Oxo good grips silicone basting brush, the Silpat baking mats (goodbye aluminum foil! ), "The Original Dish drying mat" (so great to put under a dish rack for your pots and other dishes you can not put in the dishwasher), and PureBeech sateen sheets. If you haven't tried them, they are so comfortable and pretty affordable for such high quality sheets. That's such a sweet story about your grandmother – that really is special. My best suggestion is to over-register, even for stuff you don't necessarily want. The reason is that people will typically pick from your registry and you can always return it for store credit or exchange for something you want. If they go off the registry, it's a lot harder to return, find where it is, and in some cases you're just stuck with it. I 100% agree with Jess Mathias. Over register, you want to give your guys choices, so they don't feel like your choosing what they're getting you. Make them feel like they are choosing, even though it's a set list. They want to be able to scan through your list and pick stuff out they like as well to give you guys. If you have to return some stuff and get what you need, vs. what you want. And don't forget to hit different price points as well. Some people are strapped for cash and if everything is over the $100 range they are left floundering wondering what the heck to get you. My favorite gift was my kitchen aid mixer, also in white, heheh. I have been married for 8 years and while I loved all the items I received as gifts from our wedding registry I wish I had picked more practical things to include. Extra sets of sheets, extra sets of everyday dinnerware and flatware, more Le Creuset pieces. A wine frig is a great registry item. One of the best gifts on my registry was a dustbuster. Great for pets, kids and small cleanups. These things don't sound all that glamorous or fun but you will be so glad you have them. I have heard of a lot of guys registering for things like grill sets, camping gear TV's even ladders. I never knew how much we would use our ladder and small step ladder especially once you have a house!